Trunk is the world’s most determined, enthusiastic optimist. She’s a chipper cheerleader who sees the best in everyone, and will put a sunshiny spin on every situation, however dire. With a heart as big as her size, Trunk’s greatest joy is in helping, supporting and playing with her jungle friends. That nurturing nature can sometimes get the better of her: she’s finicky and fussy over her cherished flower, and passionately protective of her best friend. Try and mess with her Munki, and Trunk’s eyes narrow dangerously. Trunk is a spirited and graceful elephant, performing a triple somersault dive off of her beloved bouncy mushrooms and without so much as a splash. She may stomp a little as she walks, but the jungle crew are always happy to hear her coming - Trunk loves a game, and makes sure that everyone is included, that no one’s feelings (or lawn) ever get hurt. She’s a humble heroine, and while she doesn’t always trust her own ideas, Trunk will throw herself into one of Munki’s plans with commitment, enthusiasm and overwhelming energy. 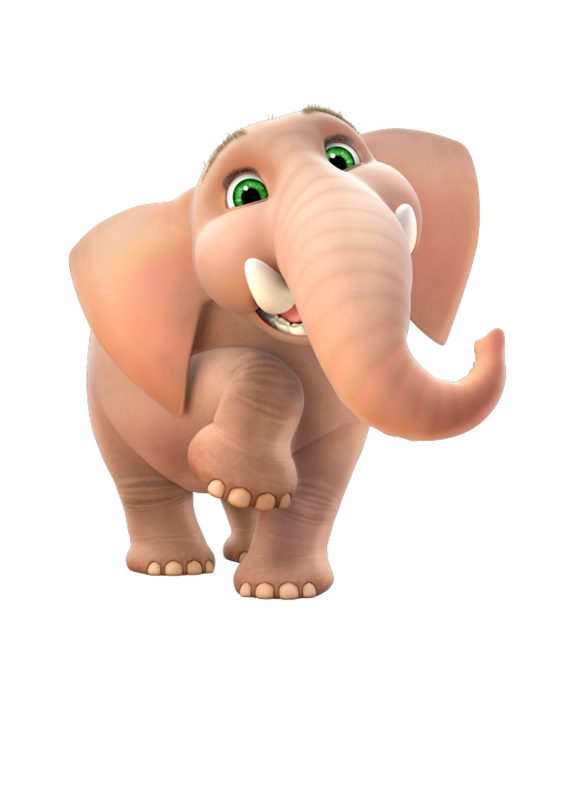 Each day for Trunk is about finding a way to help, encourage and amuse her friends. Elephants have a long lifespan. These highly intelligent animals can live up to seventy years in the wild, gathering all the wisdom that nature has to offer!